$100 Off each animal sold with groups of 15 or more!! Our sheep have been hand selected out of the Best Farms in Texas to get the sheep we have here now. You can benefit from that, if pedigrees containing Many Generations of Gold Class Trophy Horn Genetics & Loud Color, Top & Bottom of their pedigrees, mixed from multiple Gold Star accredited farms. All our animals are easy to manage with No aggressive behaviors that we have ever seen. Some buyers mention that our stock is smaller than some they purchase from other farms, which could be a selling point on ease of management. Click on the links, to the left for prices, pics and pedigrees. 11/12/2018 - As of today. we have a Closed Flock. No animals from any other farms will be introduced to our farm. We tested our whole flock a few days ago. All sheep for sale on our farm have been ELISA tested for Johne's Disease by Pan American Veterinary Laboratories with negative results. They will be sold with attached findings from laboratory. We will be retesting periodically and have started to develop a flock management plan for our animals here. We should All start testing to get a handle on this issue because you never know IF you have it until you test for it. Work with your veterinarian to develop a risk assessment and Johne’s management plan for your flock. Do not take the “ostrich approach” to Johne’s Disease and decide not to test because you don’t want to know the answer. If you want to stay in the livestock business, eventually you will HAVE to test and the delay in diagnosis will cost you many more animals’ lives and a lot more money and effort. Animals will be registered day of purchase. Like & Share while on our Facebook Page would be Greatly Appreciated!! 2019 Painted Desert Sheep Society Calendar available now! 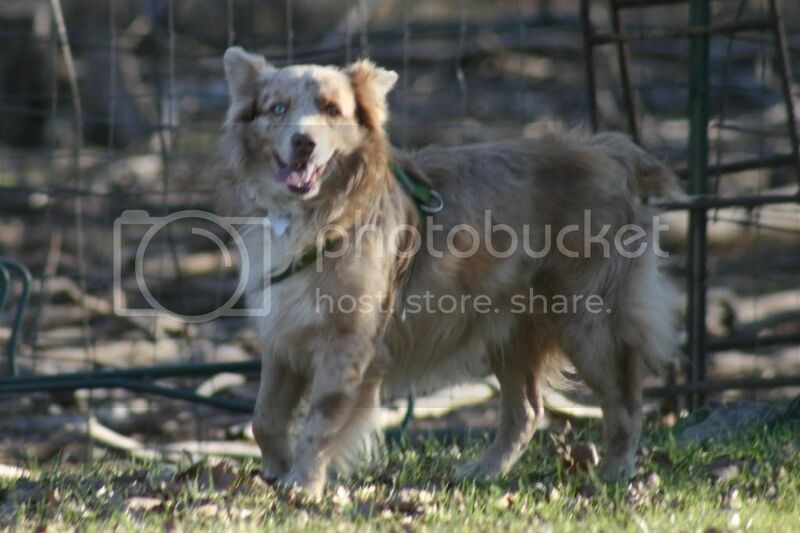 Our Red Merle Miniature Australian Shepherd - Bear! Cash only! *No checks please, Thank You! !